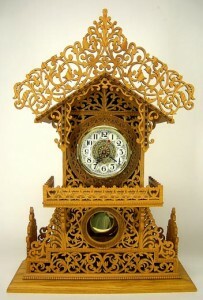 Includes 12104 chiming movement, 19012 heavy duty pendulum drive, 19070 long wood stick pendulum with 4-1/2″ diameter brass bob, 26334 dial, 66914 hands, and 68212 sweep second hand. NOTE: This package includes clock parts and hardware only. 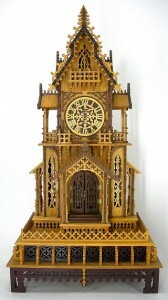 The pattern/plan for the Country Grandfather Clock is sold separately.